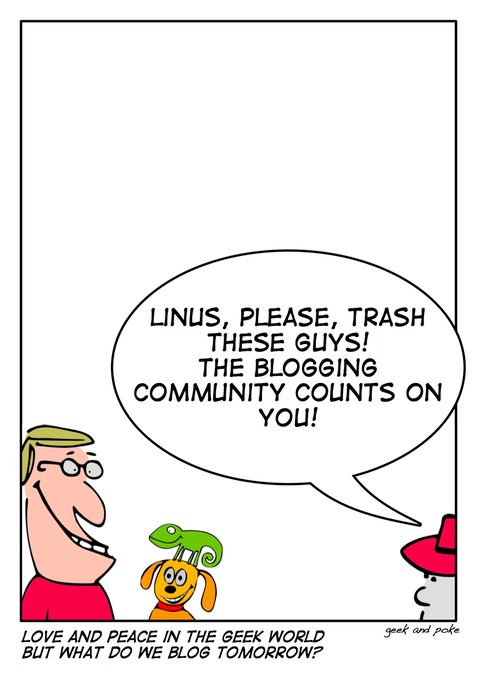 Linus Torvalds does appesement in the Microsoft vs. Linux war (see Slashdot). The Linux Foundation calls for respect for Microsoft (see Slashdot again). SCO seems to loose the lawsuit (see Dan Farber). Hopefully we'll have something to blog about tomorrow.